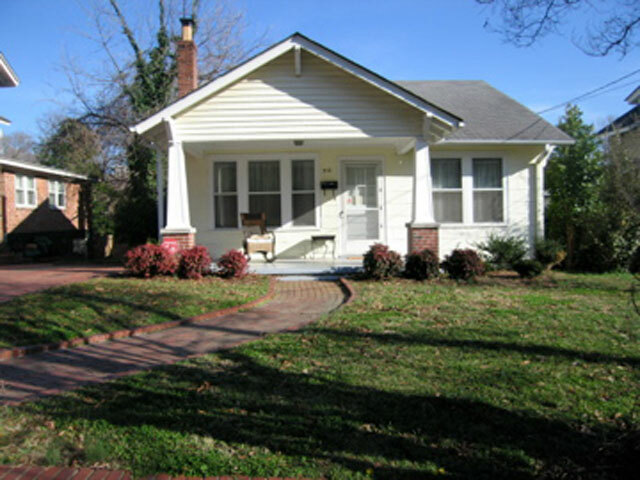 The red brick walk and driveway lead to a classic 3 bedroom bungalow with a great floor plan. 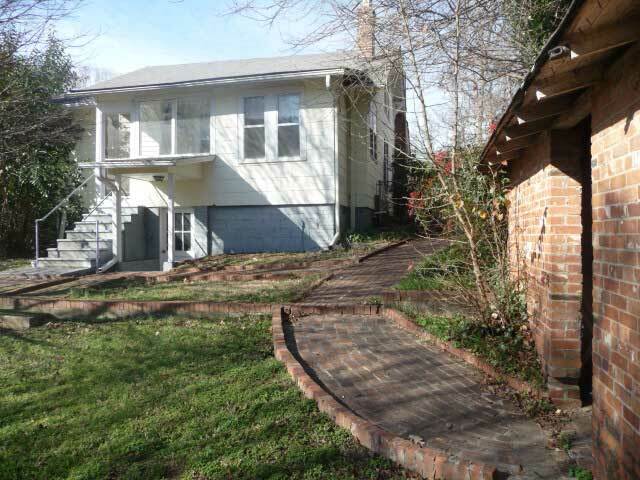 Follow the brick walk past the partial basement to the brick storage shed. 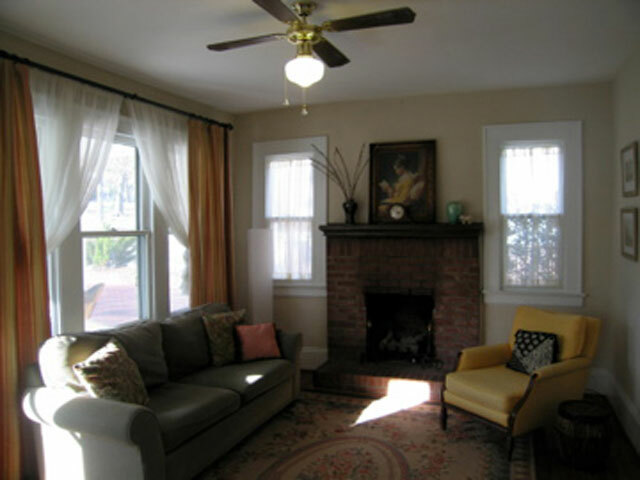 The floor plan offers practical options to expand in back. 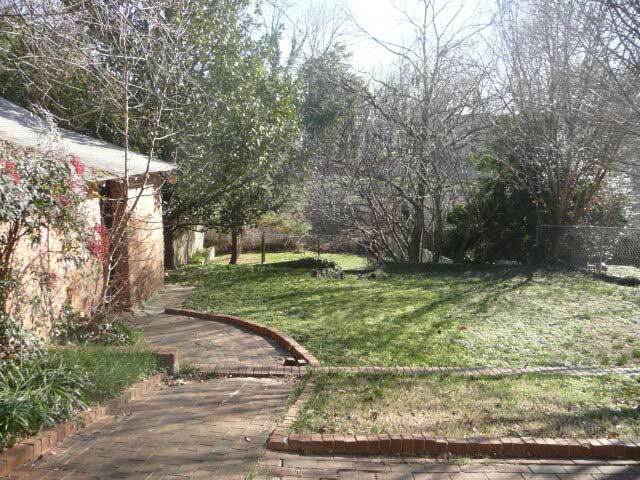 Your own land of Oz - the deep terraced yard with big fig tree backs onto creek. Lots of light during the day and gas logs at night create an inviting gathering space. 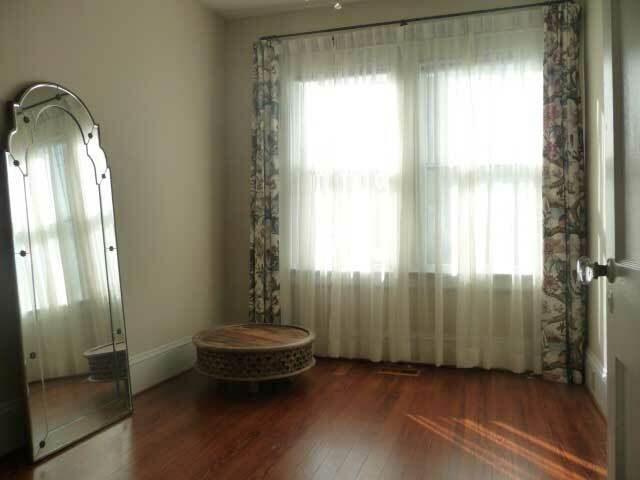 The adjacent front bedroom pictured below can be an office, den or playroom. 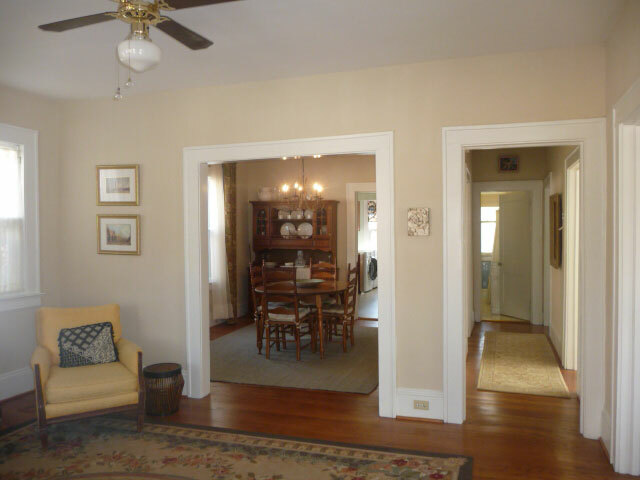 The house feels bigger because of the center hall leading past the back two bedrooms and opening to the dining room. 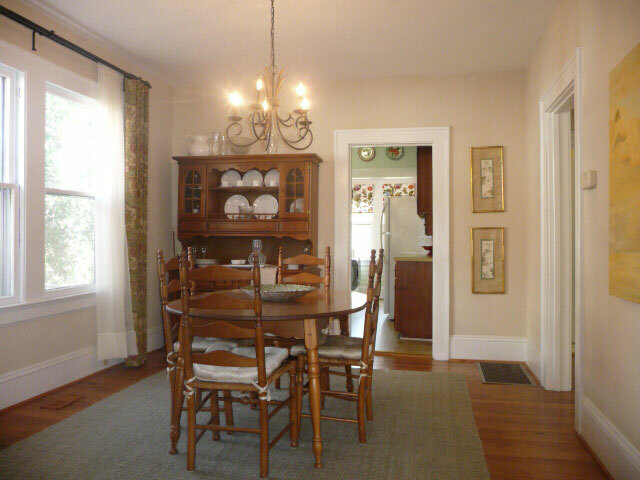 Hardwood floors shine throughout the house. 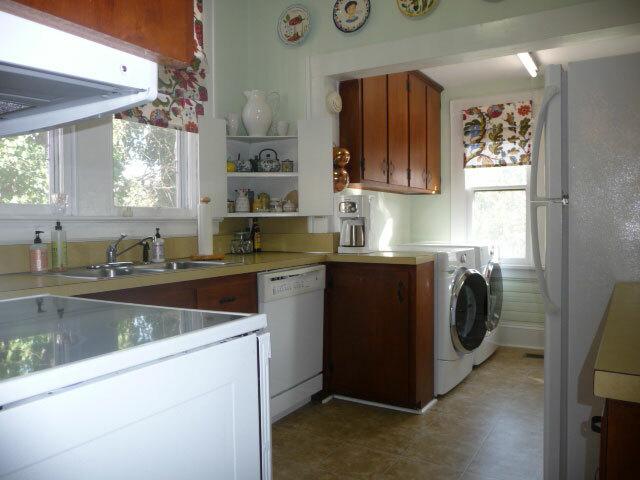 The bright kitchen opens to the back yard through a small screened porch, offering lots of options for future expansion. 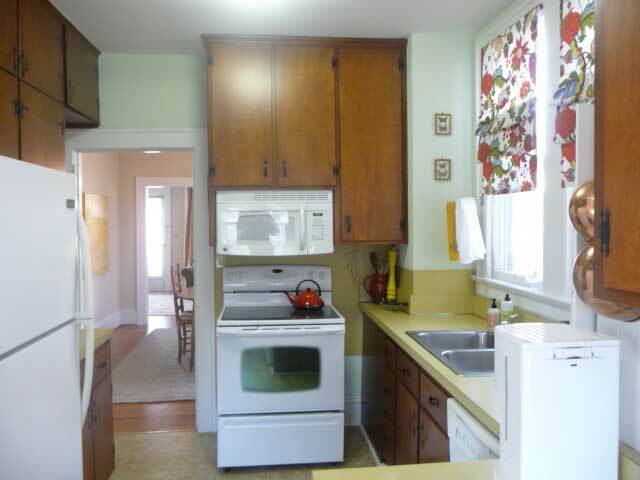 Enjoy the kitchen as is with its modern appliances, remodel it later possibly using NC Rehab Tax Credits. 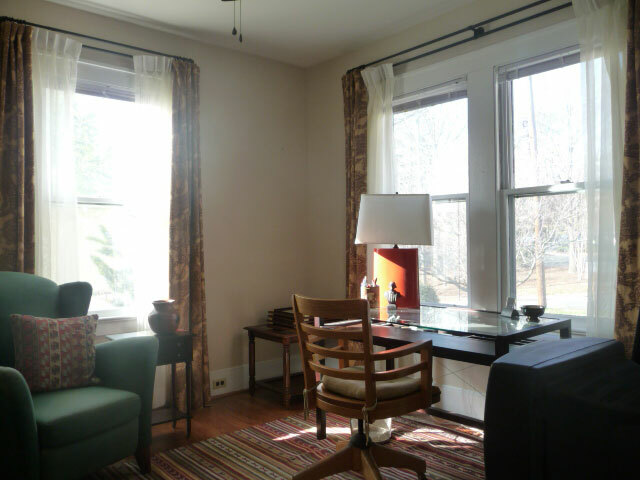 The front bedroom, now used as an office, overlooks the park behind the school across the street. 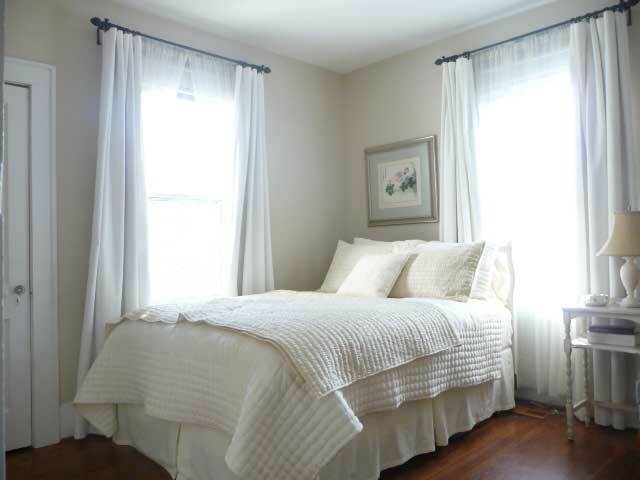 Even the middle bedroom enjoys lots of light. Note how it sparkles in the original glass door knobs. More options - a door connects the back and middle bedrooms creating a master suite, a convenient nursery, sitting room, whatever. 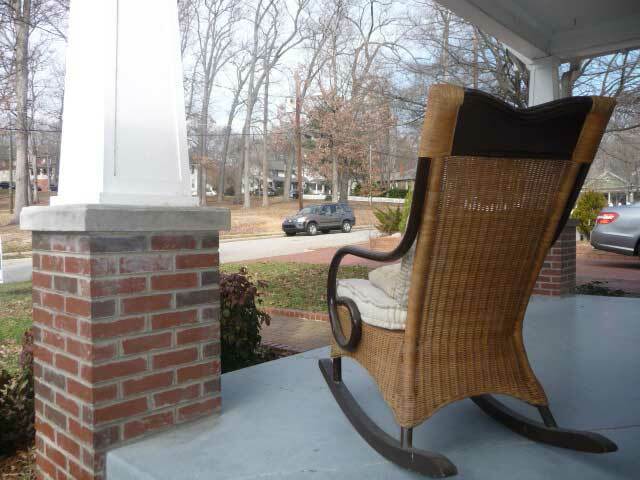 The porch overlooks the large park behind the Project Enlightenment School that is an elementary school resource center for Wake County. Google it. 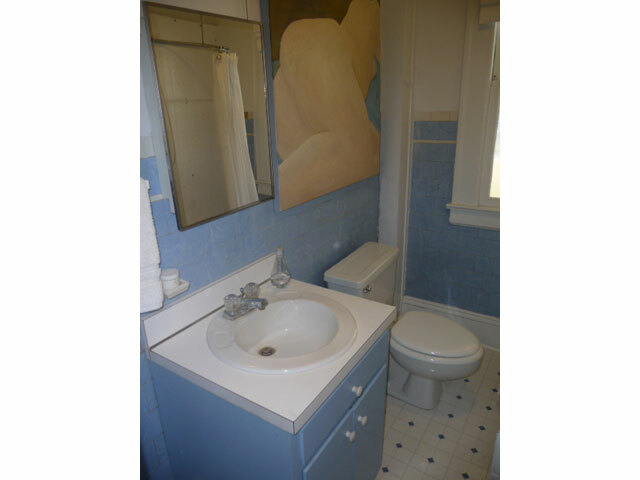 NC Rehab Tax Credits can cover part of the cost of remodeling the dated but fully functional bathroom. Ditto remodeling the kitchen and other updates to the home. 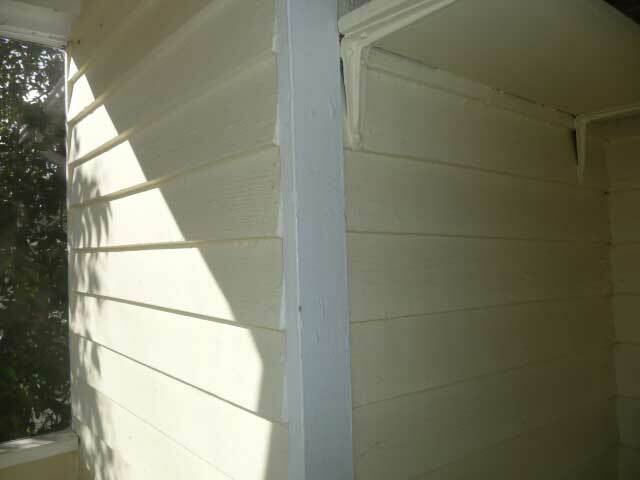 Tax credits can also be used to remove the asbestos siding and restoring the wood siding now covered on the front and sides of the house. 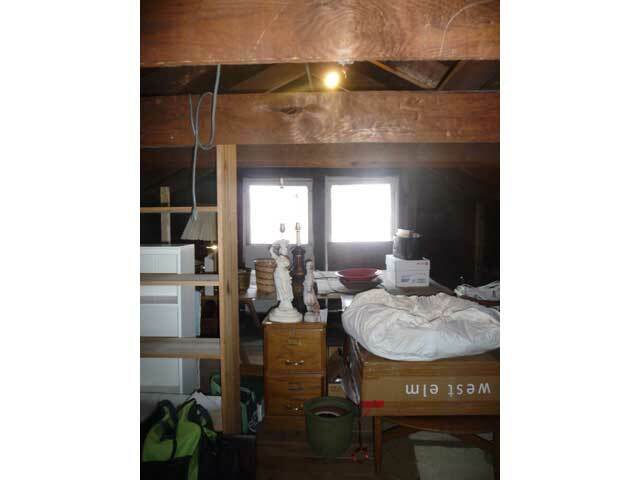 A daylight, floored attic with pull down stairs provide great storage and apparently in years past, a hide-a-way. 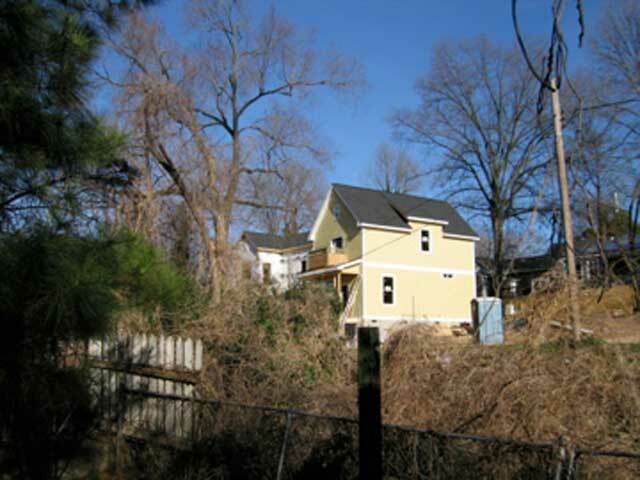 Over the back creek, four new homes are being built on a short dead-end street as part of Rosengarten Park, which includes a number of renovated homes. City plans propose a greenway also running on the other side of the creek.